Designer: GF Ferre. All departments. 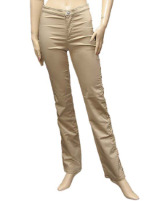 Italiano Fashion has a huge selection of discount clothes for women, everything from runway chic to weekend casual. 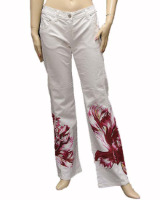 We carry the most cutting-edge fashions in designer jeans for women. In addition, look no further than Italiano Fashion for truly smart designer’s women’s suits at huge savings, not to mention dresses, tops, blouses, skirts, pants, and foundational wear – all with completely authentic Italian design. Shop Italiano Fashion and outfit yourself with the same women’s designer jeans worn by celebrities worldwide – for a fraction of the cost the stars pay. And our discount designer dresses will have you looking like you just stepped off the red carpet. Italiano Fashion is also your premier online source for discount women’s shoes. When you want discount shoes for women, you’ll find the latest looks in Italian designer footwear at huge savings compared to other online and in-store retailers. Why spend excessively with other retailers of women’s clothing online when you can have a designer look for less from Italiano Fashion. When it comes to the sharpest looks for men, Italiano Fashion is your source for discount designer clothing. We carry the biggest names in Italian fashion at rock-bottom prices. If you’re looking for discount clothes for men by Armani, Roberto Cavalli, and Dolce & Gabbana, look no further than the huge selection of Italiano Fashion. Whether you’re searching for suits, shoes, or designer jeans, we’ve got the look. Gianfranco Ferré was a fashion designer also known as "the architect of fashion" for his background and his original attitude toward creating fashion design. He started his own company in 1974 and launched his signature collection for women in 1978. His first men's collection appeared in 1982, followed in 1986 by his first couture collection in Rome. Known for its crisp lines, exact cutting, and visible seams, Ferrés label was influenced by his first trips to Asia. Defined by an East-meets-West aesthetic that vehemently rejects high-fashion trends, the house built its look on rigorously constructed, but casual, garments. Sharply tailored dresses, suits, and structured ballroom skirts in ultraluxe fabrics and rich colors were recurring players in Ferrés simple but elegant roster. In the nineties, the house branched out with sportier ready-to-wear, fur, and high-end accessories under FERRÉ Milano, and sportswear divisions for jeans, childrens, and accessories—consolidated in 2005 under the GF FERRÉ line.